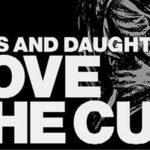 If you only started following rock bands recently, you are undoubtedly unware of the existence of the Sons and Daughters band. Well, it is because they have ceased to exist leaving behind a string of heartbroken fans in the wake of their dissolution. Even though their members are still alive, the band saw off the music industry in 2012.